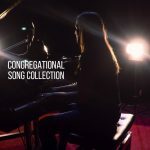 The ‘Congregational Song Collection’ is a selection of brand new songs that I have written for use in multi-generational settings. These songs address the topics of “grace and thanksgiving”, “fresh beginnings and journeys”, “love and growth”, “The Lord’s Prayer” and “Good Friday”. MP3 recordings, sheet music, lyrics and music videos complete this collection. The music videos are available to purchase on Vimeo. These videos were recorded live, which gives the feeling that the performance is happening as you are watching. The resource has been developed with lyric subtitles, to make it easy for groups or congregations to sing along to, even if there is no resident musician. Click on each track title in the audio player above to listen to the recording. Songs are available as a collection or singles, with MP3 recordings, and sheet music (piano score and lead sheet) and lyrics sheet. You can read a brief description of each song below. Select an option below to purchase the songs in this collection. This music store is currently for DIGITAL DOWNLOADS only. Once purchased you will receive an automatic email with links to download each file. A congregational song for Easter. This song says that we can carry the cross for each other in times of need and learn from the events of Good Friday. A contemplative song that provides a fresh outlook on the The Lord's Prayer. A simple song of thanks to sing in preparing to share a meal together. An upbeat song that tells the story of "The Farmer Scattering The Seed" (Matthew 13). A fun song for new beginnings. Drawing inspiration from (Phillipians 4:8-9).